O&O FileDirect makes it possible to share an unlimited number of files without having to load them in the cloud. This way your confidential files are never out of your hands. You maintain complete control over who gets to see them. Using a simple interface, you indicate the file that should be shared. 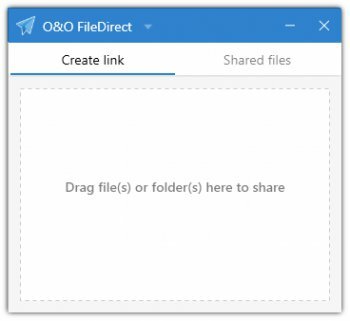 O&O FileDirect then generates an individual link that you send to the contact. The recipient doesn't need to install O&O FileDirect in order to download the file. The only thing needed is a current browser running on an ordinary device.